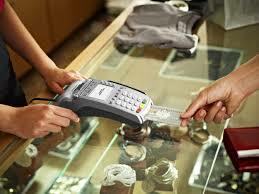 Go places with Verifone’s VX 680. Specifically tailored to the needs of merchants on the move, this full-function, portable payment device is power packed with performance. Businesses from delivery services and stadium vendors to restaurants will benefit from wireless connection options, lightning-fast processing speeds and the reliability and security of the proven VX platform. The VX 680 is a small, full-function, portable, handheld payment device with a large, color, touch screen. NFC-enabled for contactless card to mobile device payments. Durable and adaptable for different merchants and the most demanding retail environments. The VX 680 is ideal for merchants on the go and pay-at-the-table scenarios, enabling you to accept payment wherever your customers are. Ample memory supports applications allowing merchants to offer a customized payment experience, including coupons and loyalty programs. A touch screen with intuitive buttons allows your customers to interact directly with the VX 680 without handing over their credit cards. The color screen can also display engaging graphics, logos or promotional messages for added customer engagement.